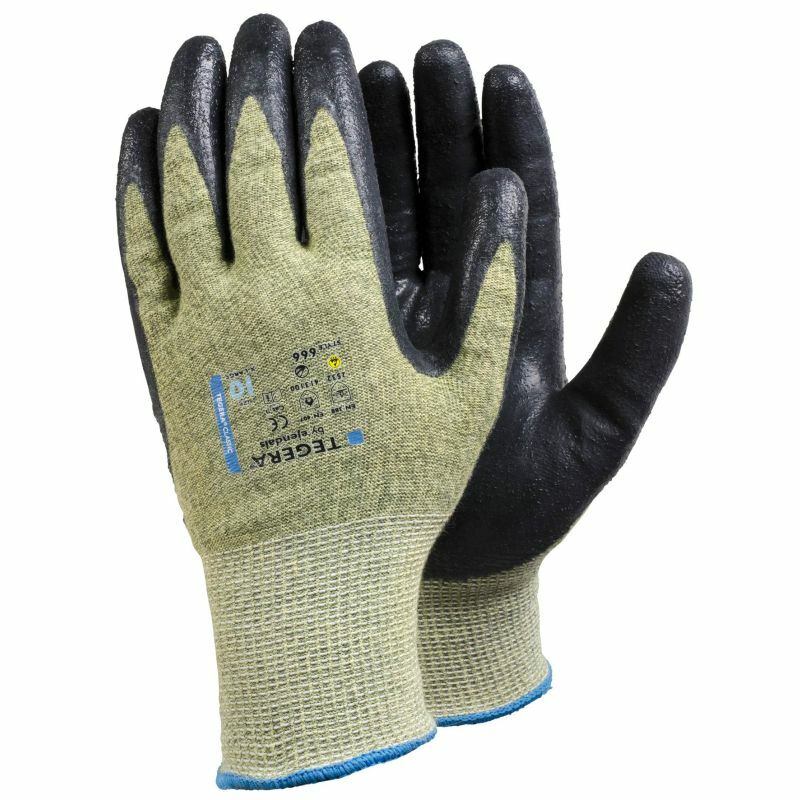 Developed for extreme industrial environments, the Ejendals Tegera 666 Palm Coated Cut Resistant Work Gloves provide fantastic protection against both cut and heat risks. With a Kevlar lining and a neoprene palm, these high-performance gloves are ideal for precision handling tasks in the harshest of conditions. The Ejendals Tegera 666 are designated Category II gloves, meaning they are suitable for medium-duty applications and intermediate levels of risk. The Ejendals Tegera 666 are available in five different sizes, meaning they should be suitable for most users. Please measure the circumference of your hand around the knuckles (excluding the thumb) with your hand open and your fingers together, and the length of your hand from the tip of your middle finger to your wrist. With a fine knitting gauge of 13gg, the Tegera 666 are precision work gloves that are designed for a close fit.